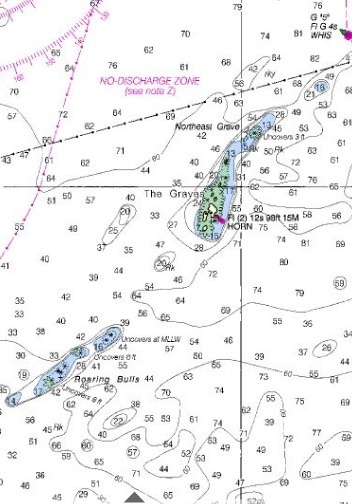 A modern navigation chart shows The Graves and Graves Light. Graves Ledge is the outermost set of rocks where Boston Harbor meets Massachusetts Bay. The top image is a close-up from a modern navigation chart. 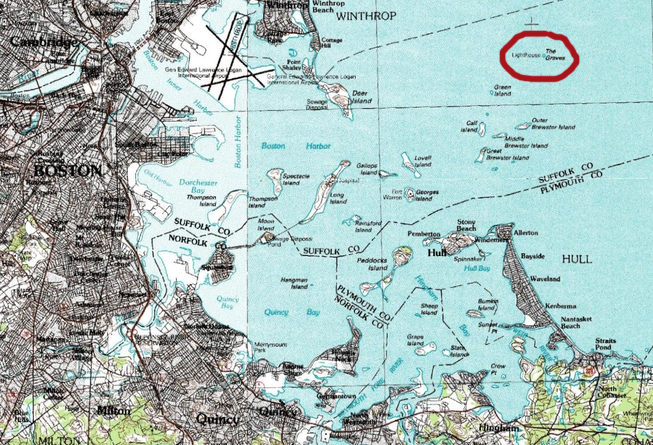 The lower image is from a modern topographical map, indicating where The Graves ledges are located relative to the rest of the harbor. ALL I can say is wow. What a treasure. Nice website as well.